Libra’s glyph represent scales. It’s symbolic of balance, something Libra’s are intimately connected with. The glyph itself is a bit reminiscent of the Egyptian ankh. The loop on the top bar is symbolic of the sun. The bar itself is symbolic of the horizon. This is a highly balanced expression. Libra’s are constantly straddling one side against another. They can often be found in the state of "in-between". So too is the sun/horizon representation of their glyph. Sunrise and sunset is a state of "in-between". It’s a liminal state... meaning it is neither here, nor there. This is a big deal for Libra’s. If a Libra can get in a liminal state of being, they can have the world in their hands. Too often a Libra flips from one side to the other, creating a pendulum swing of thought and emotions. But being in that state of in-between allows Libra to be in the presence of pure potential. A very powerful place to be. So Libra’s, next time your flopping between "this" or "that" - contemplate your glyph. Take that liminal symbol of the sun nested on the horizon as an invitation to suspend yourself in the beautiful realm of "in-between". It’s a great place to be for you, and you’ll find you can manifest tremendous results in your mental, emotional and spiritual life in that liminal space. Air: Air is symbolic of a lot of things: The unseen, communication, subtle power to name a few. The aspects of air are married to the personality of Libra’s sun sign. Libra’s have keen intuition. They can pick up on unseen vibrations, like emotions and thoughts. They don’t have to see, taste, touch or feel something to know that it just "is". Knowing this subtle information can make Libra a powerful wind of change. A Libra can use their power of perception to help or hinder. Air is the origin of wind, which can be highly unpredictable. So too can Libra’s. 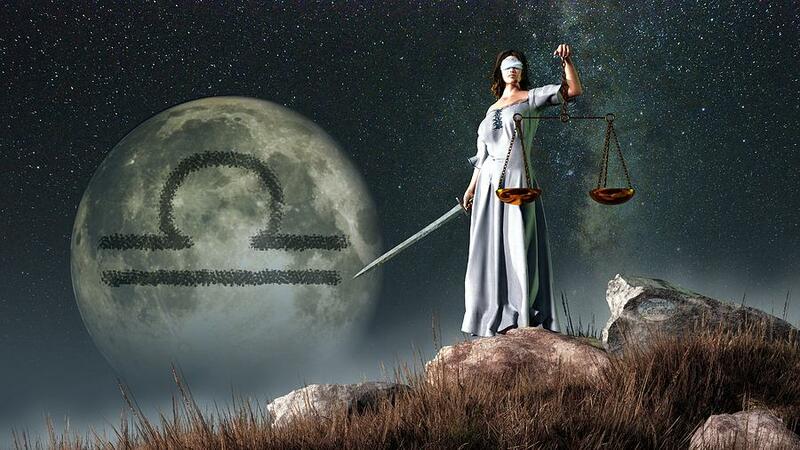 One minute, a Libra can be a sweet, gentle breeze... the next, a formidable, blustering push. But that’s okay. This unpredictability makes Libra’s diverse and fascinating. Just keep in mind... Libra’s have the power to drastically change environments through their mental processes. 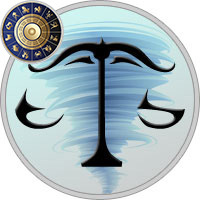 Knowing this, it’s best for Libra’s to find the eye of their storm - that inner calm, and then act from the center of themselves. A calm, focused Libra is a wise, powerful one. Rose: Intoxicating, mysterious, passionate... the rose stands for all of these things, and so too does Libra. Roses are also extremely resilient and hardy - also qualities of Libra. What’s most intriguing about the rose-Libra connection is the element of duality. A rose’s petals and scent are seemingly so delicate, even fragile. Yet, its thorns are fierce, capable of extreme protection. How does this play into the Libra persona? Well, Libra’s can be very vulnerable, breathtakingly beautiful in their fragility. Yet... they can go to high extremes to protect their softness, and can come off as quite thorny. Opal: Opals are symbolic of creativity, inspiration and expression... elements most Libra’s have no problem exhibiting. Libra’s are encouraged to wear opals (especially starfire opals) to open up their artistic selves. Opals can grant Libra’s liberation from conflicting thoughts. Sometimes, Libra’s tend to be in a state of indecision. They may hold back from freeing themselves to full expression because they ponder too much on negative consequences like: "But what if this happens if I do that? ", or "I can’t do that, because this will happen". Wearing opals will help guide Libra’s to their true light, and keep their heart-goals in focus. That means, an opal can help liberate Libra’s to express their true desire, and lead them to a clear path upon which they can be free to be themselves without fear. The Scales: So far, we’ve talked a lot about balance, harmony and polarity connected with the Libra sun-sign. Their glyph, the scales, underscores these themes. Anybody who has tinkered with a set of scales will note that just the tiniest increase in weight on one side will affect the other side. So too with Libra. This aspect should be foremost in Libra’s attention. Libra’s are super-sensitive to the slightest adjustments in their environment. And, even the tiniest adjustment can alter a Libra’s thought, emotion, action. Libra’s symbol should be a reminder that small adjustments are key. Too often, a Libra overcompensates in answer to a change. For example, a Libra friend of mine, Tammy, often takes exaggerated action to compensate for a little glitch she encounters. She does this because she is instinctively trying to reestablish balance and harmony in her life. She just can’t stand the idea of instability. I remind her that baby steps are often the best tact. Try to visualize how actual scales work. Add a few little things to the one side that’s out of whack. A little better thought, a little positive action, a small tweak in how you feel. Little by little, that imbalance will dissipate, and harmony will return.